Logitech has announced a new range Ultimate Ears earphones – with prices ranging from £17.99 right up to the Ultimate Ears 700 Noise-Isolating Earphones prices at £159. The Ultimate Ears range from Logitech has been extended with a host of new options. All earphones come with five pairs of variously sized soft ear cushions, a compact, protective case for your earphones while you're on the go and noise-isolation technology. The flagship pair are the Ultimate Ears 700 Noise-Isolating Earphones, which Logitech states "offer superior sound without cramping your style." "These earphones use a custom-tuned dual-armature micro design that separates the high and low frequencies to deliver sound so full and detailed you'll hear breaths in between lyrics. "The noise-isolating design reduces outside noise by 26dBs and lets you focus on the music. "At just 11.6g the earphones are light enough to wear whether you're relaxing, riding the bus to work, or going for a jog. 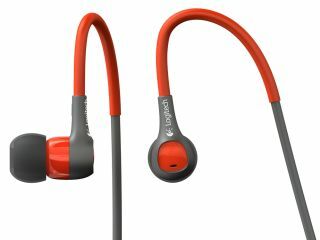 The sleek, micro design makes your earphones look and feel as good as they sound – ear earphone is smaller than a scent." We don't understand the last bit either. A little oddly, Logitech has rolled out musician Seal to promote the product; "Whether I am using my in-ear monitors on stage during a live performance, in the studio during a recording session or on a plane listening to music on my iPod, everything comes through so clearly," said Seal. "With Ultimate Ears, singing – and listening – becomes a simple pleasure." "Many performing artists we work with enjoy putting personal artwork on their stage in-ear monitors as an additional form of self expression," said Philippe Depallens, Logitech vice president and general manager of the Ultimate Ears business.